Cash for Cars Vic is a leading buyer of Caravans in Melbourne, Victoria. We buy all makes & conditions, paying our customers up to $9,999 Cash For Caravans Melbourne wide. When a quick sale with no hassles is the agenda, give us a call. We are the leading removal company in Melbourne, Victoria, when it comes to high payouts. The roof can be leaking, the tyres flat, and the engine was blown and you can still rely on a top dollar quote from Cash for Cars Vic. We are a leading car removal company in Melbourne that pays instant Cash For Caravans Melbourne wide. We buy used, mint condition, wrecked, damaged, fire, flooded, accident, scrap, rusted, unwanted, old, and all other conditions of caravans. When we are your buyer, you can expect a fair deal. Cash for Cars Vic removes caravans anywhere in Victoria, Australia. With our system, you couldn’t get a better way to sell your caravan than Cash for Cars Vic. We are an auto buyer that concentrates on customer satisfaction, which is why we provide services that are second to none, including our fast and convenient caravan removals in Melbourne. We work around the hours of our customers’ schedules, so having your caravan removed in never a hassle. We provide removals anywhere in Melbourne without charging a towing fee to our customers. Get free wrecking & recycling for your scrap, wrecked, junk, accident, old or damaged caravan. We have the wreckers, tools, equipment, and facility to dismantle, wreck, & recycle caravans. With a vehicle like a caravan, you want wreckers that know how to properly dismantle the auto, recondition all parts that can be reconditioned, and recycle the remainder of the auto. Caravans are heavy autos, and ones that can yield owners a tremendous value in doing recycles alone. We are recyclers that know how to get the most value from caravans we recycle. Go with an eco-friendly disposal with Cash for Cars Vic and have your caravan recycled with us. When you choose Cash for Cars Vic, you have an instant buyer for your caravan regardless of its condition. We are an established buyer of caravans in Melbourne, Victoria, and one that provides our customers with up to $9,999 Cash For Caravans Melbourne wide. Instant cash payments – Count your Cash For Caravans Melbourne wide before your car is removed. We make instant cash payments on the spot. 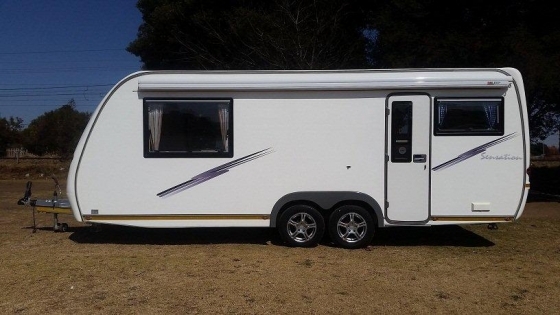 Free caravan removals – Get a free caravan removal anywhere in Melbourne, Victoria. Simply call our appraisers to ask for a cash quote. Accept the offer, and we’ll schedule a quick and convenient removal. Free car wrecking & recycling – Go eco-friendly with our car wrecking & recycling standards. Free paperwork – We provide the legal paperwork and you sign! We make offers for caravans regardless of their makes and conditions. Contact us over the phone or online with the make, model, year, and condition of your car. Count your Cash For Caravans Melbourne wide.